Please allow us to introduce Our Team; the people that make the beer you love possible. Mike is a reformed home brewer who decided to take his skills to the professional level. He started brewing beer in 1995 and promptly became seriously involved in the Hampton Roads, Virginia brewing scene. Stints in officer positions at the Hampton Roads Brewing and Tasting Society and a part time gig teaching beer making prompted him to purchase one of the local home brew supply stores and create HomeBrewUSA. In 2002 he accepted a brewer position at Hilltop Brewing Company where he stayed until 2004. 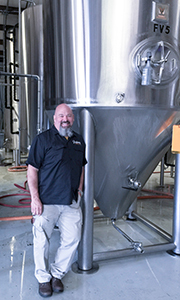 Upon retiring from the U. S. Navy and leaving Hilltop, he spent the next couple years focusing on HomeBrewUSA and running the bottling line at St. Georges Brewing Company in Hampton, VA.
Mike was approached with an ambitious project in 2006, the renovation and near complete rebuilding of Williamsburg AleWerks. More success followed in 2008 with his move to Radford Virginia’s The River Company Restaurant & Brewery. Mike made a name for himself there by winning various local and statewide awards. In August 2013 he moved home to his family’s land in Greene County TN and promptly got involved in the Tennessee brewing scene, building Holston River Brewing Company from the ground up as Chief Brewer in January 2014. At the close of 2014 Mike was asked to return to The River Company to help rebrand the brewery and establish a presence in the canned product market. 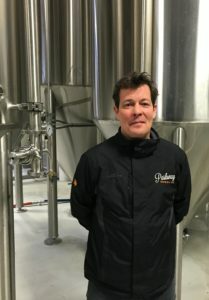 In March 2016 Parkway Brewing Company hired him as Brewmaster and in January 2017 named him General Manager. Mike and his talented team of brewers are working diligently to replicate the success that Parkway has achieved in the Roanoke & New River Valleys in new regional markets & beyond. Prior to working at Parkway Brewing Company, Shea cut his chops in the Russian Ballet. Contemporaries Andrey Batalov and Ekaterina Alaeva have described his performances as “Gracefully Angelic”, “Intoxicatingly Transcendant”, and “Genre Defining”. After a freak ear injury, his dancing suffered and was never the same. He moved to Malta to pursue his other passion: dolphin training. After learning he was not cut out for the marine training life, mostly by realizing he couldn’t swim, Shea went on a year long alcohol bender. It was then that he discovered his love for beer and led him to his first brewery job. Born somewhere between the winter of 1985 and the summer of 1986, he was orphaned soon after birth. He was raised by a colony of ants that found him, and they accepted him as their queen. Experts think this is when Shea developed his love for dance. When he was finally found and adopted by human parents, life continued at a normal pace. He forewent his high school education to become the youngest of NASA’s secret astronauts. While working with the cosmonauts during a joint training mission, he fell in love with Inga, a beautiful woman from the city of Moscow. After the mission, Shea and Inga moved to Russia to be together. This is when he decided to join the ballet. Lezlie is one of the Founders of Parkway and created the look and feel of Parkway’s unique branding. Raised in the Roanoke Valley, her strong familial connection to Salem and love of the Blue Ridge mountains has been translated into the brand’s art with the use of regional folklore and places, and handmade original art by local artists. 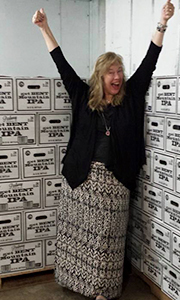 Lezlie came to the beer business by the forces of timing and economy. After graduating from VCU, she worked in non-profits until the thriving music scene in Richmond offered an opportunity to use her promotional skills in a more satisfying way. She was the Editor of a music magazine, helped launch a record label and worked in radio promoting “baby bands.” It was a glorious time of backstage passes and decadent lunches with label reps, and if she’d had half a clue she would’ve run off with any number of rock stars, but instead opted for a simpler life, marrying an audio engineer with less groupie competition. Then the music business went digital, destroying not only music, but her life as she knew it. Ducking out of the music business, Lezlie went to work in what would be her last foray into corporate normalcy by taking a job in the family business of real estate development, back in her hometown of Roanoke. As Advertising Director for University Housing Group, Lezlie’s marketing helped sell student housing in college towns across the US. After a decade of reproducing (2 lovely daughters!) and mind-numbing stability, the economy again spoke and left Lezlie looking for a new challenge at a time when older women and real estate were not extremely sought-after. 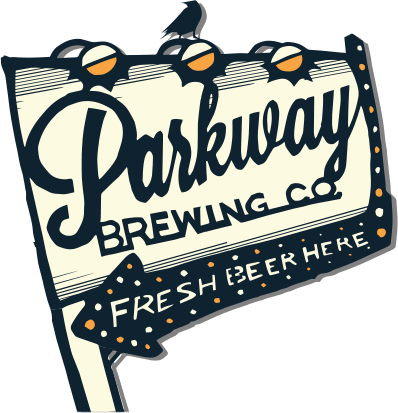 “Crisis Equals Opportunity” has always proven true for Lezlie, as it did once again with the founding of Parkway Brewing Company. Lezlie and her husband Keno had been watching the Craft Beer explosion as it slowly moved to the east coast, and with the support and knowledge of a few craft “elder statesmen,” they boldly gathered the partners and staff with a drive to bring the Craft Beer scene to the Roanoke Valley and the barren beer landscape of SWVA. The brewery’s name came to her while reading about the anniversary of the Blue Ridge Parkway, and the rest was a natural evolution: using the unforgettable characters, places, legends and lore that give SWVA its distinctive flavor. The use of hand-cut paper art and original art by local artists cemented the Parkway brand’s visual presence. Lezlie also books the original bands in the Salem Tasting Room, and handles events for Parkway. Focusing on local, original music and a family-friendly atmosphere, Parkway has developed into a community hub of activity, hosting fundraisers, parties and any variety of entertainment that our thirsty audiences can conceive of. Moving forward into new markets, Lezlie hopes to bring the SWVA vibe to people across the US, one crafty label at a time. Simon came to the United States six years ago after leaving Barcelona, Spain where he had owned and operated a successful craft beer bar. Upon arrival in Northern Virginia, he became the Beverage Director of a small restaurant group in Alexandria. Watching America’s growing interest in the craft beer movement made him want to return to his roots in the craft beer industry. He made the decision to join a beer distributor as a sales representative and spent the next three years learning about the Virginia beer market. It was during this time that he first became aware of Parkway Brewing Company and visited the Salem brewery on a number of occasions. Simon liked what he saw, was impressed with the quality of the beer, and the unique branding of the Parkway characters. One thing lead to another and he joined the team in early 2016 to lead the sales team. He currently lives in Alexandria with his wife Jill and their son Charlie.